NEW YORK STATE (May 11, 2015) – Senator John J. Bonacic, (R/C/I-Mt. Hope) has announced the inclusion of $800,000 in funding for the Research and Recognition Project in the 2015-2016 New York State Budget. 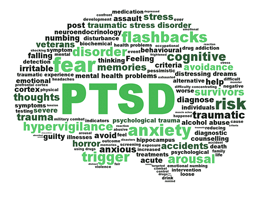 The Research and Recognition Project is a non-profit organization that has developed a breakthrough, non-invasive, neurological treatment for veterans suffering from Post-Traumatic Stress (PTS). Senator Bonacic was joined by a bi-partisan group of thirty State Senators, who were all in support of funding this monumental research to cure PTS. “Treating our veterans after they return home from service is one of the most solemn duties we undertake as legislators,” said Senator Bonacic. By investing in our veterans and others, to cure Post-Traumatic Stress, the long term fiscal effect will be saving billions of taxpayer dollars by helping them get off of disability, and return to the fulfilling, productive lives they deserve to lead.